You may have made all sorts of resolutions this January but perhaps there are some you haven’t made because you feel they’re too big, too crazy, too overwhelming and so it’s easiest not to set yourself up for disappointment. I know that mindset well. If you’re a maker, designer or creative, you may well have little pipe dreams of turning the hobby that you so love into something you could earn money from, maybe even do full time one day but it’s all to easy when it’s just you beavering away on your own in your room making projects for friends, to see that as ‘head in the clouds’ kind of stuff. You may, like me 3 years ago, think you’ve just got a creative brain but couldn’t handle the business side of things. I was one of those people and even getting the product together to open an Etsy shop overwhelmed me completely, hence why I put it off for 2 years. Looking back I’m so glad I eventually knuckled down and did it! It’s brought me so much work and so many opportunities I wouldn’t have had otherwise. The team are so great at promoting their designer makers and arranging events to get them noticed and it’s a low risk way to start things off with very small fees compared to other online marketplaces. Something that’s quite appealing when you haven’t even made any real money yet. You can also use your shop as a testing ground to see what the Etsy customer responds well to and what they don’t. That can be invaluable market research to help you work out what direction you should take your work in and where to put your efforts. It’s definitely encouraged me to keep on making and adding new products. I sell prints, cards and wedding stationery in my Etsy shop but you may knit, make candles, design clothes, create ceramics, make jewellery, illustrate, construct furniture…the list could go on. If you do any of these things, I bet you’d love to do it more and even get paid for it. With all of that said, I’m so excited that Etsy UK have launched Etsy resolution, a free 4 week online bootcamp to help makers move their dreams towards reality. It’s all to easy to be scared and put things off, particularly as there’s always that chance you’ll fail but the course takes you through everything you need to know from the very beginning, setting up your shop to photography to marketing, to getting seen in the sea of other sellers. To do this well it’s led by three very successful Etsy sellers and the director of The Design Trust. I remember being massively helped by an all day series of talks put on by The Design Trust when I first started. Out of every bit of learning I was eating up at the time, it was the most useful thing I went to, sitting there like a total sponge. Get more info on the pros who’ll be leading the bootcamp here. 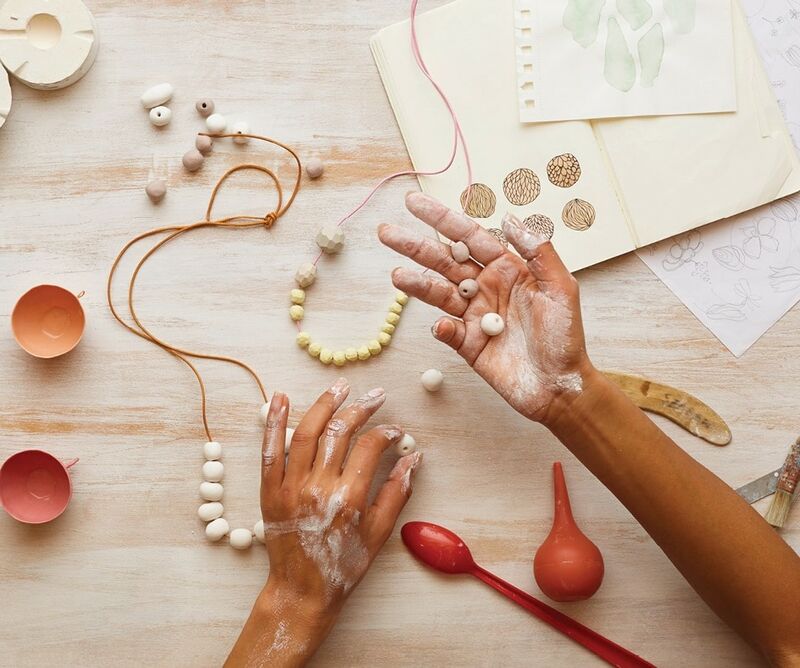 The idea of Etsy Resolution is to give aspiring designer makers a chance to build their confidence, get the advise they really need and be welcomed into a support network. What a great idea hey?! …And you did read that right, it’s absolutely free. I call that a no brainer. you can read more about the whole initiative right here. If you’re interested in joining then you better be quick to sign up as it starts on the 25th of this month! New sellers even get 20 free listings with the code etsyrevolutionUK . Get making friends and send your creations into the big wide world!